When it comes to finding new patients for your dental office, you can no longer only rely on reputation and referrals. You need to use dental office marketing strategies to create an image, sustain your current clientele and find new local patients. 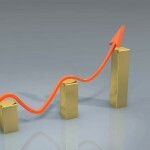 At DentalMarketing.net, we know how to use marketing solutions to help you achieve these goals. Our one-of-a-kind direct mail strategy has helped dozens of dental clinics across the country grow their practices. It’s important to develop reasonable goals for both you and your staff. Start by looking at where you could use some improvements. Whether it’s for your marketing strategy, patient satisfaction or potential patient outreach, you need to set goals that will improve your practice. Sit down with your staff and brainstorm attainable goals together. Getting the opinion and outlook of every single member of your practice will help you create multiple, well-rounded goals. At DentalMarketing.com, we use an ingenious system to advertise and track our campaign in one swoop. We offer customized postcards plus extra services to gauge the success of our efforts. Start by choosing one of our pre-designed postcards. All our templates were created by professional graphic designers and can be customized to match your office’s brand and personality.